Charles Frederick Hughes was born on 14 October 1866 in Bath, ME. He was appointed to the U.S. Naval Academy in 1884. Upon graduation on 8 June 1888, he went to the Fleet for the customary two years at sea preceding a commission as an Ensign. He received that commission on 1 July 1890, and was promoted to Lieutenant (junior grade) on 27 April 1898. During the Spanish-American War, Lieutenant (j.g.) Hughes fought in Commodore Dewey's Asiatic Squadron. He was promoted to Lieutenant on 3 March 1899. While serving ashore at the Bureau of Equipment from 1904-06, he was promoted to Lieutenant Commander on 1 July 1905. During a tour of duty as recorder for the Board of Inspection and Survey between 1909 and 1911, he was promoted to Commander. He assumed command of USS Birmingham (Scout Cruiser No. 2) in 1911 and plied the troubled waters along the Mexican gulf coast in her and, later, in command of USS Des Moines (Cruiser No. 15). In 1913, Hughes became Chief of Staff to the Commander, Atlantic Fleet, and served in that capacity during the occupation of Veracruz, Mexico, in the spring of 1914. Promoted to Captain on 10 July 1914, he returned to shore duty later that year to serve with the General Board. Captain Hughes took command of USS New York (Battleship No. 34) in October 1916. His ship served in the American battleship squadron that operated with the Royal Navy's Grand Fleet at Scapa Flow in the Orkney Islands through World War I.
Hughes left New York just before the Armistice. On 10 October 1918, he was promoted to Rear Admiral. His first assignment as a flag officer was as Commandant at the Philadelphia Navy Yard from late 1918 to 1920. Between 1920 and 1921 Hughes was Commander, 2nd Battleship Squadron, Atlantic Fleet. From the latter part of 1921 to 25 June 1923, he commanded Divisions 7 and 4 of the Battle Fleet. Coming ashore again in 1923, he became President of the Naval War College at Newport, RI, on 1 July. A year later, Hughes moved to the job of Director of Fleet Training. That assignment lasted until 10 October 1925. On 14 October 1925, Hughes was promoted to the four-star rank of Admiral and appointed Commander-in-Chief, Battle Fleet. 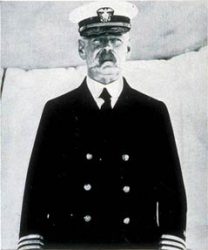 On 14 November 1927, Hughes became the fourth man to occupy the office of Chief of Naval Operations. 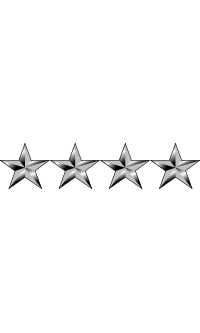 He completed his tour of duty in that post on 11 September 1930 and, on 14 October 1930, retired to his home in Chevy Chase, MD. Charles F. Hughes (DD-428) and Admiral C. F. Hughes (AP-124) were named in his honor. Hughes is the brother-in-law of Navy Admiral Samuel S. Robison. Hughes' daughter married brother of Navy five-star Admiral Chester W. Nimitz. Charles Frederick Hughes died on 28 May 1934. He is buried at Arlington National Cemetery in Arlington, VA, in Section 2, Lot 891.